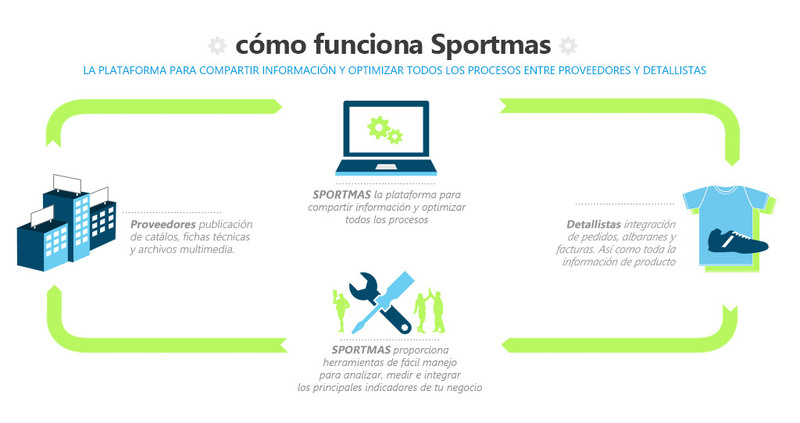 Sportmas is the cloud platform where retailers can find an index of all their strategic suppliers, allowing them to complete their orders with relevant product information. QuickSports PRO, which is completely integrated with Sportmas, allows accesss to the description, characteristics and associated images of an item just by reading its bar code, saving a considerable time when registering items on the database. Sportmas also offers the capacity to integrate orders, delivery notes and invoices, allowing to register the goods received in QuickSports Proin just a few clicks. Thanks to this, received products can be immediately available for sale in your stores. Configurable and scalable management software adapted to business companies and SMEs to improve their productivity.